Former National Hockey League forward Matt Murley has signed with a South Korean club, his new team announced Wednesday. The Daemyung Killer Whales in the Asia League Ice Hockey said they've acquired the 37-year-old American forward. 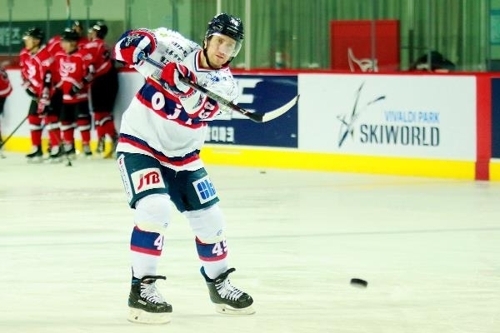 Murley made his ALIH debut last season with the Oji Eagles in Japan, picking up 19 goals and 44 assists for 63 points, good for fifth in the league. The Killer Whales finished eighth in the nine-team ALIH last season with 26 points in 48 games, but have made several notable moves this summer. They've also brought in former NHL head coach Kevin Constantine as their new bench boss. The team said Murley can play at center or at both wings and brings a wealth of experience to the young team. Murley was a second-round pick by the Pittsburgh Penguins at the 1999 NHL draft and played in 18 games for the Pens in the 2003-2004 season.